gosh, i'm salivating over _shin_'s siggy, i was hinting for that to be our next official hyoonie siggy noh! wahhaha! yooheeeeee! i think gung can be safely classified now as a classic. in bali, separately of cuz, haha! 00:00:07:JJH : are ypu being too daring here? 00:00:11:Eh : you cant film this. 00:00:14:- how is Eh's acting? 00:00:15:JJH: she does everything well. talented. 00:00:19:and when it comes to the eating scenes. wow. 00:00:20:she sure doesnt need any replacement actresses. 00:00:24:EH:you think if i wasnt really hungry i wouldnt eat the food. 00:00:33:it's because i am hungry that's why my face is swollen. why am i late for this? aiiiieeeee thanks Rebby for starting this thread! I miss our ROYAL COUPLE but i miss HYOONIE more! Goong was my first step to K-pop wave. So it usually makes me touched when people talk about Goong. Really, without Goong, I won't be as happy like this now. ditto to what you said... my life wouldn't be the same if i didn't stumble upon this korean drama on local tv. Years from now, i bet, i'll still be pulling out my Goong DVD whenever im missing our dear Shin- goon & Chae Young. glad to see the old Goong people back here! Hiyee LaBelle! awww rebby i remember you from the goong thread, i MISS that thread!! ^^^ wonder who has a full view of the hug-from-behind scene of this pic, care to share? Im glad to see this thread! Ive always been a hyoonie/goongnian from the first time i saw a tv commercial of Goong here in the Phil.and its already been two yrs. since I first started surfing the sites that has Goong and JJH-YEH topics. Even the koreans who are studying in our school are also fans of JJH and YEH tandem. they even asked me to give them copies of your PS pics. so i just want to ask permission to all hyoonies if i could borrow ur pics!hehe.. 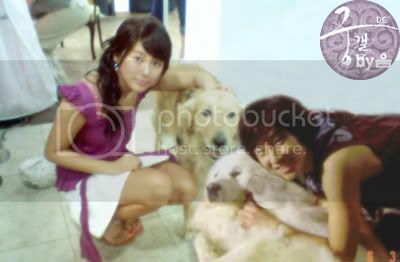 I hope to see them together...in real and reel LiFe! Gosh I love this couple!! Way too cute together!! Nevermind, I am going to watch it again. Love it!! love this drama! love the characters. love the chemistry bewteen them! lol. 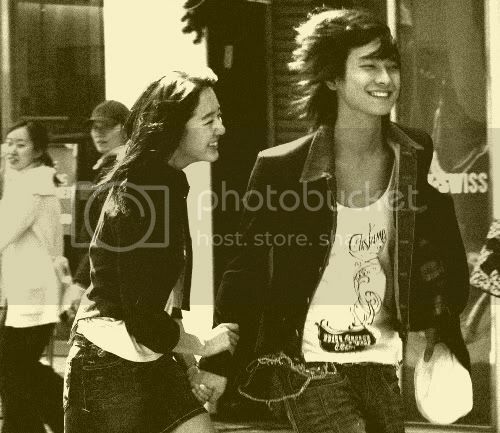 Ahh Joo Ji Hoon & Yoo Eun Hye are sooo cute together! One of the best couples yet. Too bad they made Goong S, (which was really disappointing >__>) and the royal couple couldn't star together! weeeeeeeeeeeeeeeeeeeee!!!! Reb thanks so much for starting this thread! i'm so glad to see familiar nicks here.. miss you all! thanks to sentimental_me for the link of this thread. like some of you here, my life really changed when i got hooked to these two.. because of them, my addiction to Asian stuff (celebs, dramas, music, etc) started.. its like, first love.. hehehe!